What are culture vultures discussing 'round the water cooler today? q producer Aparita Bhandari scans the latest arts and entertainment headlines to keep us in the know. The Bull of Nimrud is coming back to life. Last year, Isis destroyed the ancient Assyrian archaeological site of Nimrud in Iraq, an act that Unesco called a war crime. Now, the Bull of Nimrud is being recreated at an exhibition at Rome's Colosseum. The project features replicas of three ancient works from Iraq and Syria and will be made using robots and 3D printers. Grimes releases not one, but seven new music videos. The Polaris Music Prize short listed artist surprised fans yesterday by putting out a 38-minute film shot on her cellphone during her Ac!d Reigns tour this past summer. The Ac!d Reign Chronicles is four videos for songs off of her 2015 album Art Angels and three for songs by artist HANA, who opened for Grimes on tour. Watch the full film below. Just hold on, Drake's recovering. 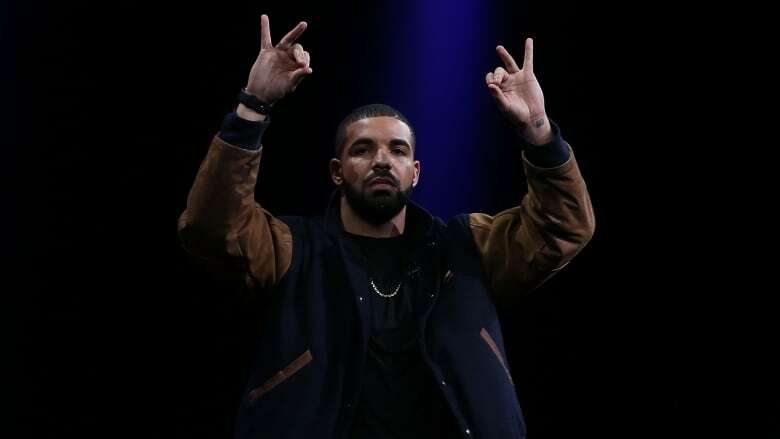 The Toronto rapper has postponed a number of tour dates on his Summer Sixteen tour due to an ankle injury. Cities affected include his hometown and Philadelphia. In a statement, Drake writes, "I am crushed to even be typing this announcement because I feel like I am letting my fans in these cities down." Does the Polaris Music Prize matter?